That didn’t take long. The Galaxy S7 and Galaxy S7 Edge were announced moments ago, yet here we are with all sorts of details on availability and a release date from US carriers. Verizon, Sprint, AT&T, Cricket, and T-Mobile have all weighed in already. Below, you’ll find the details on when you’ll be able to buy the Galaxy S7 or Galaxy S7 Edge. Pre-orders open at AT&T on February 23. The phone arrives on March 11 in stores. Galaxy S7 32GB will cost $23.17 per month when purchased through AT&T Next 24. Galaxy S7 edge 32GB will cost $26.50 per month when purchased through AT&T Next 24. AT&T will sell both phones in Black Onyx and Gold Platinum. The S7 Edge will also come in Silver Titanium. AT&T Galaxy S7 pre-orders will happen here; S7 Edge pre-orders here. Pre-orders open at Verizon on February 23 at 8AM Eastern. The phone arrives on March 11 in stores. Verizon will sell both phones in Black Onyx and Gold Platinum. The S7 Edge will also come in Silver Titanium. 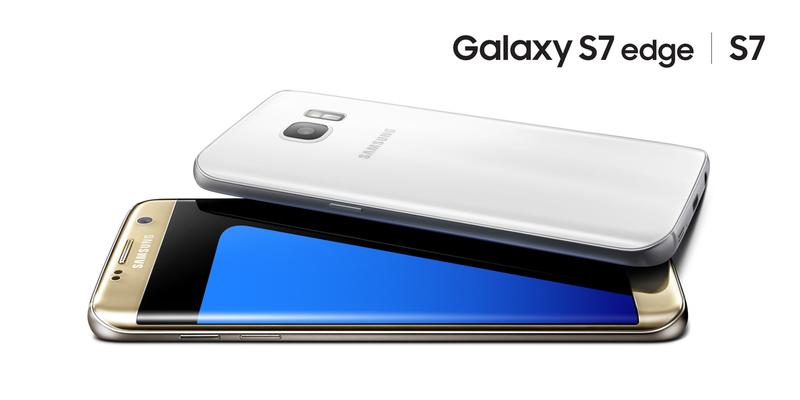 Verizon Galaxy S7 pre-orders will happen here; S7 Edge pre-orders here. Pre-orders open at T-Mobile on February 23. T-Mobile did not mention an in-store date, but would imagine it’s March 11. T-Mobile will sell both phones in Black Onyx and Gold Platinum. The S7 Edge will also come in Silver Titanium. T-Mobile Galaxy S7 / S7 pre-orders will happen here here. Pre-orders open at Sprint on February 23. The phone arrives on March 11 in stores. Sprint is running two pricing models for the S7 / S7 Edge launch. One is for a Galay Forever program that will let you upgrade to future Galaxy smartphones after 12 monthly lease payments. The other is a more traditional installment billing plan. They are also doing a buy one, get one half-off deal. Sprint pre-orders for the Galaxy S7 / S7 Edge will happen here. Cricket announced that they will carry the Galaxy S7 and S7 Edge, but they aren’t ready to reveal pricing or dates. Pre-orders open at Best Buy on February 23. The phone arrives on March 11 in stores. If you pre-order, Best Buy will not only toss in the free Gear VR, but a 64GB microSD card as well. If you want to get your hands on either phone before March 11, Best Buy stores will have them on February 24.